Paul G. Allen, the co-founder of Microsoft and prominent business and philanthropic leader, passed away on October 15, 2018. His impact will live on for generations. We at UNICEF USA are particularly grateful for his generosity, dedication, and innovation. As the 2014 Ebola outbreak in West Africa grew into an epidemic, Paul G. Allen Philanthropies swiftly mobilized to identify and address the most immediate needs. The newly formed Paul G. Allen Ebola Program issued a $3.6 million challenge grant to UNICEF USA, offering to match all gifts made to the initiative, thereby doubling the impact. 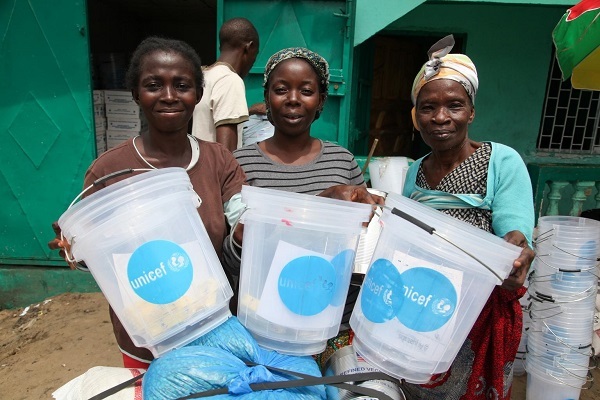 UNICEF supporters met the goal, combining with The Paul G. Allen Ebola Program’s grant to raise over $7 million for UNICEF’s response to Ebola outbreak. 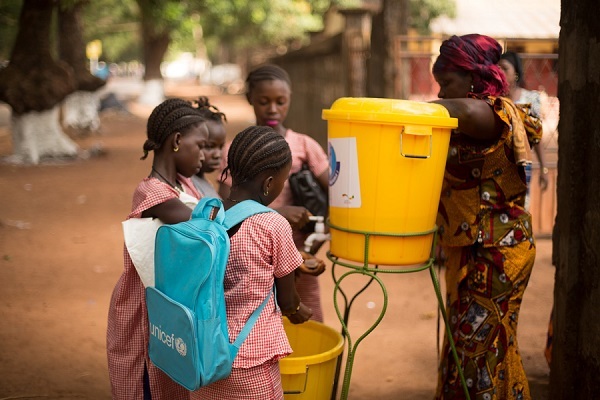 With this early, vital support, UNICEF delivered 50,000 hygiene kits to Liberia, critical to protecting children and families, and trained more than 2,000 health workers to engage and educate communities on how to prevent Ebola’s spread. Overall, the Paul G. Allen Ebola Program committed $100 million to tackle the Ebola outbreak with contributions to Doctors Without Borders, Medical Teams International, the Center for Disease Control Foundation, Global Giving, and more. Two and a half years after the first case was discovered, the West Africa Ebola outbreak ended with more than 28,600 cases and 11,325 deaths. Nearly 23,000 children lost one or both parents. As devastating as those figures may be, the outbreak had the potential to be far worse if not for the action of leaders like Paul G. Allen. In line with UNICEF’s mission of resiliency-building, Mr. Allen’s commitment will help ensure that the global community is better prepared to respond to future outbreaks. It is an honor to have partnered with Paul G. Allen to save and protect children. Cover Image: In 2015, Paul Allen committed $100 million to fighting the Ebola crisis in West Africa. At the Ebola Innovation Summit in April of 2015, Allen emphasized the importance of collaboration in the fight. Credit: Courtesy of Vulcan Inc.